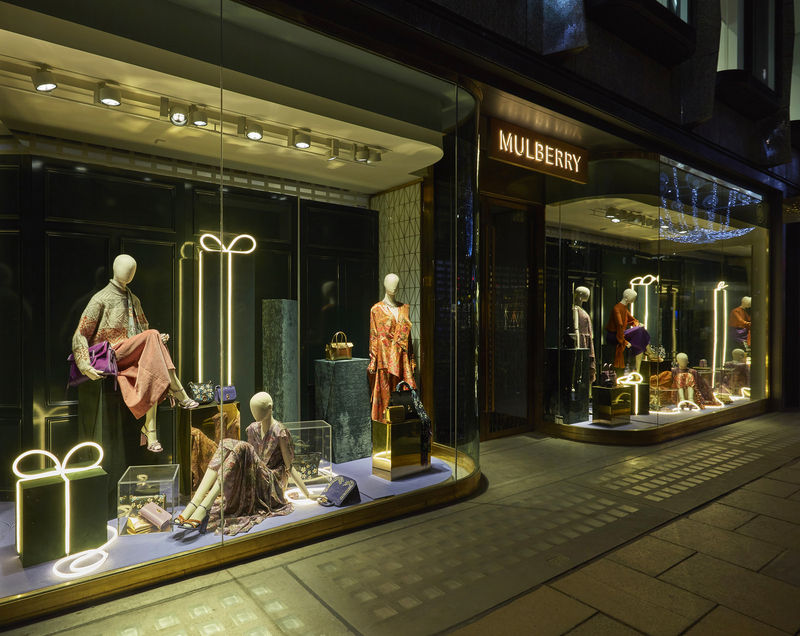 We recently launched our glow Christmas window scheme for Mulberry. The Christmas scheme is composed of hand crafted mirror brass, translucent acrylic and crushed velvet ersatz gift boxes which are gracefully adorned with the Mulberry gift collection. 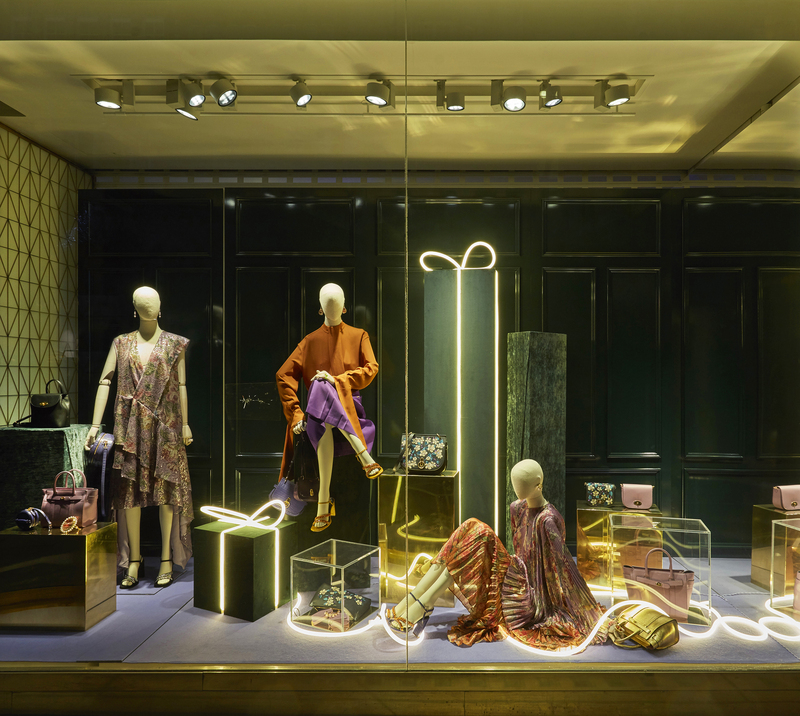 Delicate green velvet plinths have been wrapped with neon tube ribbon to bring a festive warmth to the display. 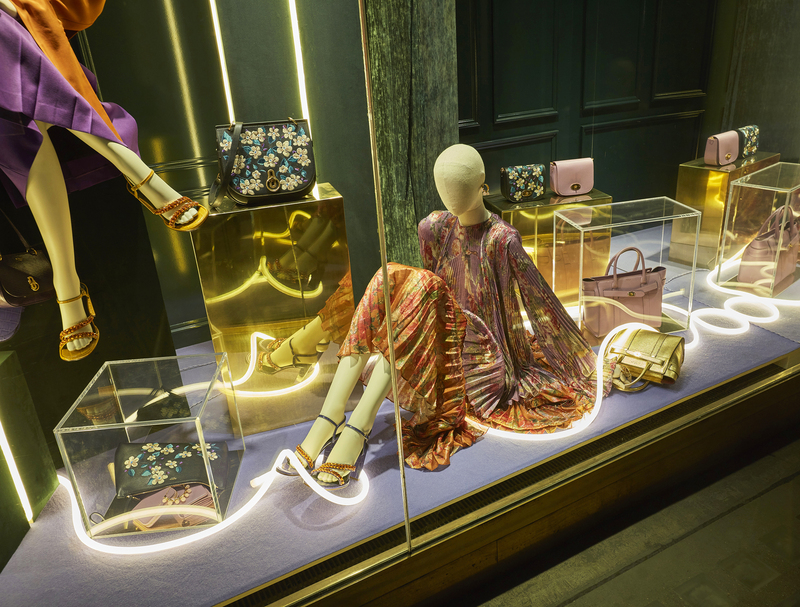 The scheme was rolled out to European and North American stores with production by Blacks Visual, in collaboration with Mulberry Creative Team.